After Thanos got the snapping, the Marvel Cinematic Universe has not quite been the same. But it looks like the hero next up is about to bring change of the cosmic kind is Captain Marvel. And we now have a first look image of actor Brie Larson suited and booted. And it should please you all that the colours mirror the comics this time around, unlike that unofficial preview we got. 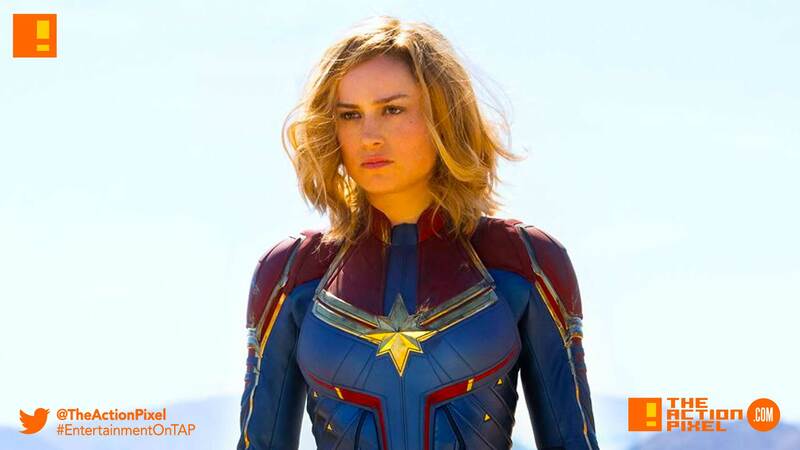 Also news on the narrative via EW; the film will open with Carol already having gotten her cosmic powers—as she heads to space to join the Kree comic book superteam known as Starforce, which will be lead by Law’s “enigmatic commander.” After spending time with the team in the film, Carol returns to her homeworld, only to face a bold new threat: the infamous shapeshifting Marvel villains the Skrulls, who will be lead by Ben Mendelsohn’s villainous Talos.